Yahoo, working at home: Marissa Mayer has made a terrible mistake—working from home is great for employees and employers. Working from home is great for employees—and employers. 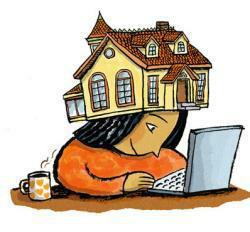 Elsewhere in Slate, Katie Roiphe makes the case against working from home. It was nearly a decade ago that I stopped going into the office every day. I worked at a competing Web magazine at the time, and my bosses didn’t really care how I worked, as long as I got stuff done. At first, like many people, I began working from home because I was lazy. By skipping my hourlong commute, I gave myself more time to sleep in and goof off. And without anyone watching over me, the goofing off was sure to be epic. But I quickly realized that, counter to my intentions, working at home made me more productive. Without office distractions—listening to other people’s phone calls, bantering with the receptionist, figuring out where and with whom to go to lunch—I could report and write much faster. Telecommuting also freed me from pointless office commitments. For instance, I could call in to meetings, mute my line, and then do more important things with my time. When I tell people that I work at home, they usually assume one of two things—that I’m un- or underemployed and just biding my time until I get a real job, or that I possess a monkish, single-minded devotion to work that they suggest is required for successful telecommuting. Neither is true. Instead, I’ve realized that, once you learn how to do it, working at home is superior in almost every way. It allows me to be better at my job and at my life—to be a more productive employee and a not-terrible husband and dad. Working at home isn’t for everyone. As a writer, I work according to what Y Combinator’s Paul Graham calls the “maker’s schedule.” My job requires long stretches of distraction-free time, and my output, on any particular day, is sensitive to my mood and environment. Working at home gives me the freedom to adjust these variables to maximum effect: Sometimes I find that I write better if I start a column after dinner, while other times I hit a wall during the middle of the day, take an hour off to get a snack and jump in the shower, and then come back to produce a magnificent column about pajamas. You might work differently. Maybe your mind is best primed by conversations with your co-workers about Downton Abbey. That’s fine. The point—and this is hardly groundbreaking—is that different people work differently. Any organization whose success depends on maximizing its workers’ productivity ought to allow their employees some degree of flexibility. Mayer is going to regret this decision. It’s myopic, unfriendly, and so boneheaded that I worry it’s the product of spending too much time at the office. (She did, after all, build a nursery next to her office to house her new baby). It’s not just that the policy completely elides the virtues of working from home. Numerous studies have found that people can be more productive when they’re allowed to work away from the office. One, released this month by researchers at Stanford, showed that when Chinese call-center employees were allowed to work from home, their performance increased by 13 percent. Considering such gains, it’s likely that Yahoo’s new ban will force remote workers to alter their work lives in a way that will lower their productivity. It will also put Yahoo at odds with just about every other tech company in Silicon Valley—firms that don’t impose such rules on working from home, and with whom Yahoo competes for talent. The larger problem with the ban is its apparent cluelessness about how creative work occurs. 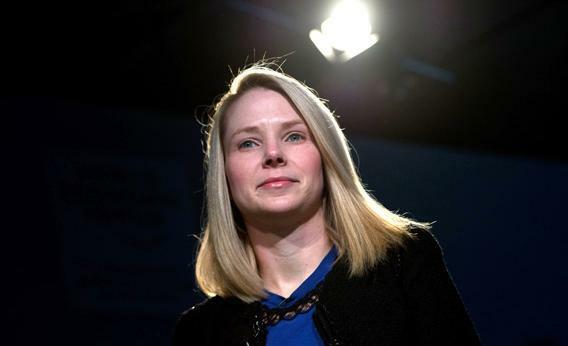 Marissa Mayer is said to be a devoted office worker. Both her admirers and critics call her a workaholic, a woman who’s gotten ahead not just through talent but also by working longer hours than most other people. Yahoo is a Web and media company, a firm teeming with engineers, designers, writers, and editors—people whose work not only can be accomplished remotely, but also people who may find working at home to be a better way to get things done. This decision suggests that Mayer doesn’t understand one of the most basic ideas about managing workers—that different people work in different ways, and that some kinds of pursuits are inhibited, rather than improved, by time in the office. One theory behind Yahoo’s office-only policy is that it’s an effort to combat the firm’s bloat; the firm, one ex-Yahoo told Business Insider, has been beset by people who claim to be working remotely but just don’t ever get things done. But if that’s the case, then why use this blunt instrument? Why not just fire the people who aren’t doing their work? Yahoo’s memo seems to suggest there’s a tension between the productivity gains to be had from remote working and the collaborative spirit fostered by people in close proximity to one another. But that doesn’t have to be the case. Companies with flexible policies can allow people to work at home a few days a week and from the office on other days. Modern communications technologies can also help. For instance, telepresence robots like the Beam and Anybot allow home workers to move a robotic avatar through a faraway office. People who work using these technologies have told me that they allow for offsite workers to interact with their colleagues very naturally. The more you use it, the more you feel like you’re really there. Such remote-working technologies are going to get much better in the next few years. I suspect that in time, the distinction between working in the office and working at home will fade away. We’ll all be able to work from anywhere, at any time, and our work will be assessed by what we produce, not how much time we spend doing it. Except at Yahoo, where the only thing that counts is showing up.